The Senator who called Sony on the carpet for its handling of the PlayStation Network mess is now praising the company for its response to his inquiries and offer of protection to customers who are affected by the security breach. U.S. 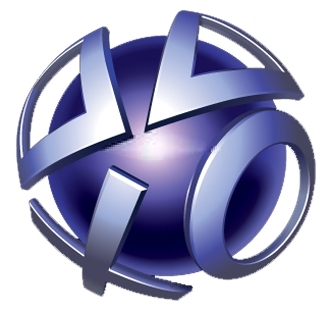 Senator Richard Blumenthal did not sound like a happy camper in his letter to Sony Computer Entertainment of America President Jack Tretton, sent roughly a week after the PlayStation Network went offline, in which he called on the company to reveal what it knew and when it knew it, why it was so slow in informing customers of the breach and what it intended to do to protect them against identity theft and other issues arising from the loss of their data. Referring to Sony's silence in the week following the attack as "troubling," he said, "Sony has not notified customers of the intrusion, or provided information that is vital to allowing individuals to protect themselves from identity theft, such as informing users whether their personal or financial information may have been compromised." But Sony's response to Blumenthal's questions and its promise to extend identity theft protection to PSN customers in the U.S. for one year at no charge seems to have softened his attitude a bit. "I welcome Sony's strong first step toward protecting millions of consumers whose personal and financial information has been compromised," the Senator said in a statement. "While I continue to believe that Sony should have warned users earlier, I am pleased they are providing protective measures including an insurance policy to cover identity theft harms to consumers within a twelve-month window - but I would hope Sony would extend coverage over a longer time on a case-by-case basis if necessary." Blumenthal went so far as to state that Sony's response to the situation "could serve as a model for other companies facing similar criminal hacking," which he apparently expects to see more of in the future. "The crime perpetrated on Sony and PlayStation Network users is part of a larger troubling trend of cybercrime, and a reminder that our laws and data security resources must keep pace with advancing technology," he added. Sony unveiled its plan for PSN customers in the U.S. last week, offering a free month of PlayStation Plus membership, an extension of existing subscriptions to cover the downtime and a full year of the AllClear ID Plus program, which includes $1 million insurance against identity theft. Similar "please forgive us" packages for European customers have been promised but are still in the works.